Hello there ! Thanks for your interest in configuring the DNS server for adding a record. Today in this post we’ll learn how we can configure a DNS record as a web host. We can see this configuration. Please be remember that it is about adding a record in the DNS server, It is not about the configuration or setting up a dns server. About the configuration of DNS server you will find post in this blog. So lets start our post about this adding a record and check dns from a client. All this task we’ll do using virtually in the cisco packet tracer. 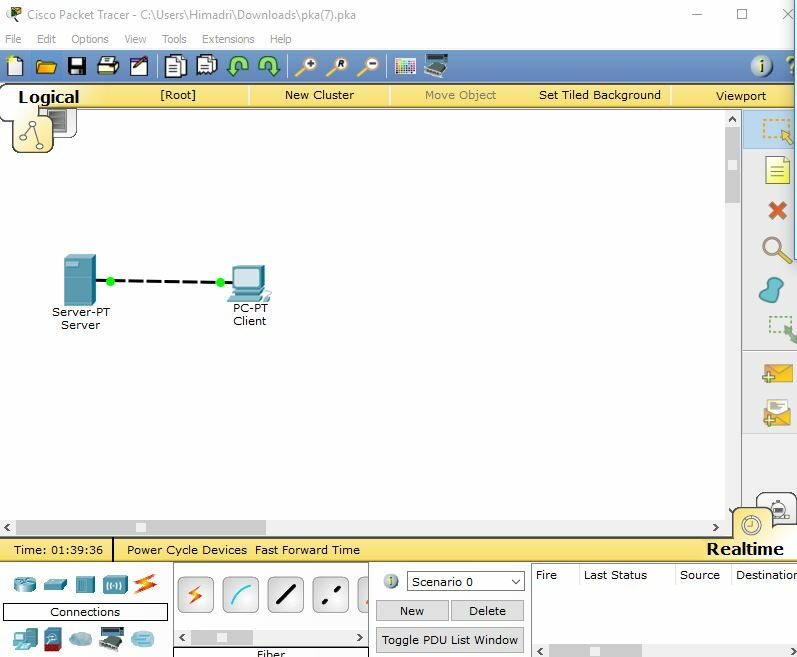 If you can able to do this task perfectly in cisco packet tracer, this will help you to design this type of network in the practical files. To perform this task, we’ll use a server and a desktop. Desktop will work as a client. From the client PC we’ll browse a webpage. We’ll configure the webpage in the server. So lets do this work. 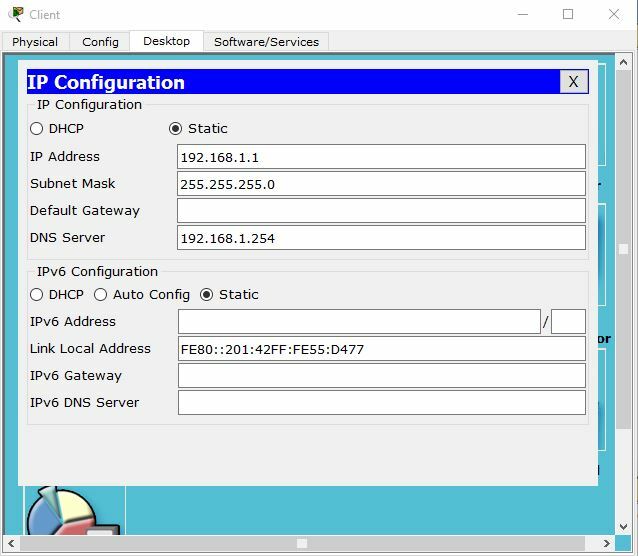 We can say that you have cisco packet tracer installed in your system, if not, then please install cisco packet tracer. It is recommended use cisco packet tracer 6.3 or 7 or later versions. 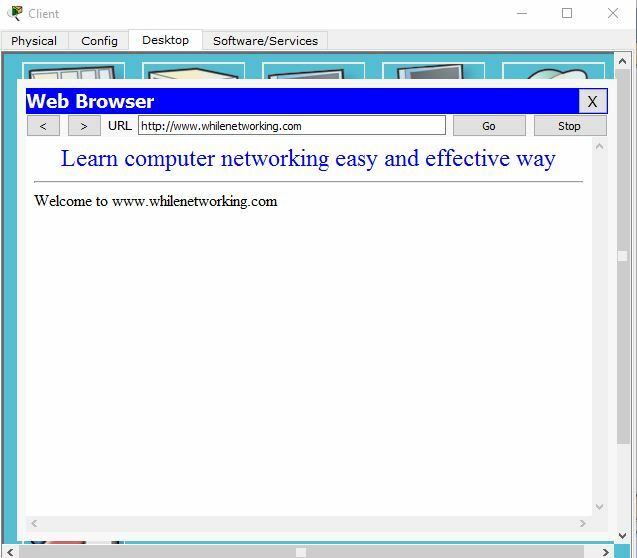 If you don’t have cisco packet tracer, the you can download it from whilenetworking.com. Step a: After opening cisco packet tracer drag a PC and a server from the left panel to the logical workplace. Step b: Connect them using cross-over cable connection. Step c: Now we need to implement IP address to the client PC and the DNS server (add a record). To implement DNS record, just click the server. A window will open. Click the service tab. After, click the DNS. Check that DNS service is active or not. If the DNS service remain inactive, you need to active it. Active it by clicking On button. So your DNS service is now activated. Now we’ll add a website as a record. To add a record in the name box just write the web address you want to add. Here I’ve written www.whilenetworking.com and in the address box you need to add a IP address against the web URL. Here I’ve placed 192.168.1.254 as address. By default, the type option remains “A Records”. We don’t need to change that in this case. So we’ve successfully added a DNS record. Now we need to check that if the HTTP service is active or not. To check this we just click the HTTP which remains under the service tab of server (just like entering the DNS under the service tab). If it remains off, then turn it On. You can also edit your display page from here. Just click the edit of index.html. Now we need to implement IP address to the client point. So lets implement IP address in the client desktop. So we’ve configured the implementation of IP address in the client end. Now we’ll check the configuration through the browser. If our configuration is OK, then we can be able to browse a web page through the browser of our desktop PC. If the configuration is ok, then you’ll see a web page. So we’ve successfully configured the DNS record and can able to display the webpage in the client browser. If the page didn’t load successfully, then there is a problem of configuring the DNS record or implementing the IP address. If you face any problem, then please check all the steps carefully from the beginning of this post. 1. Can able to learn how to configure DNS on the server. 2. Cab able to active HTTP and DNS of the server. 3. Can able to browse web page through client PC. 4. Can able to add and edit record of DNS server. If you want, you can also check the process in the simulation mode. To view the working system of the simulation mode, you can check the previous posts.